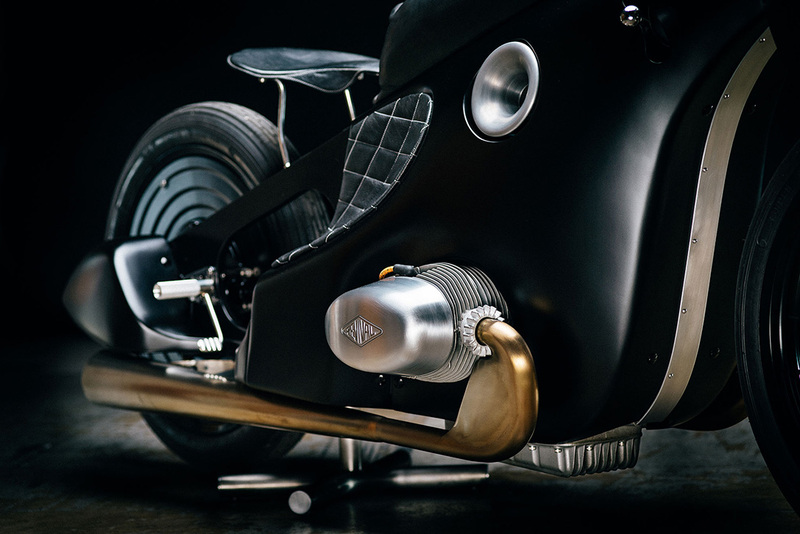 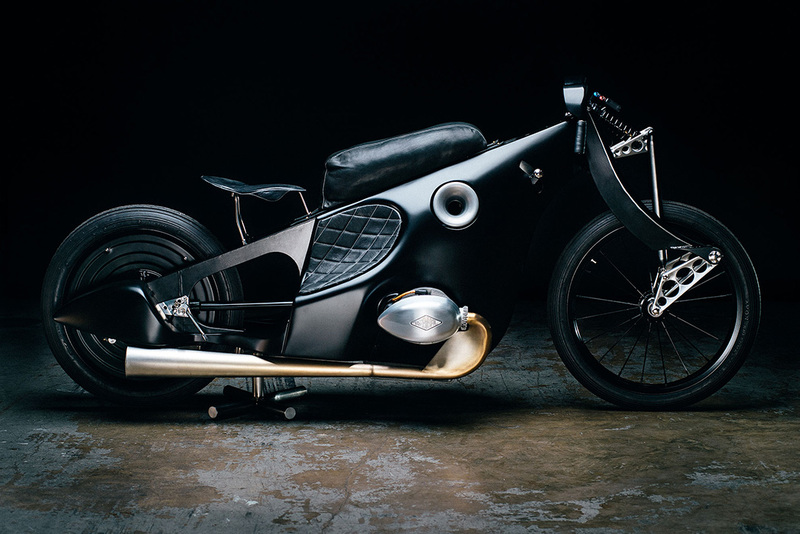 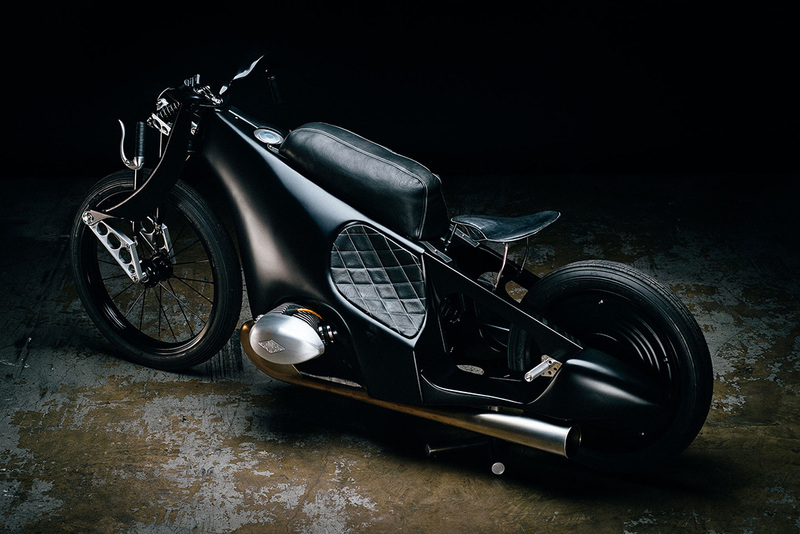 Texas based Revival Cycles created a bike inspired by Ernst Henne’s Landspeeder. 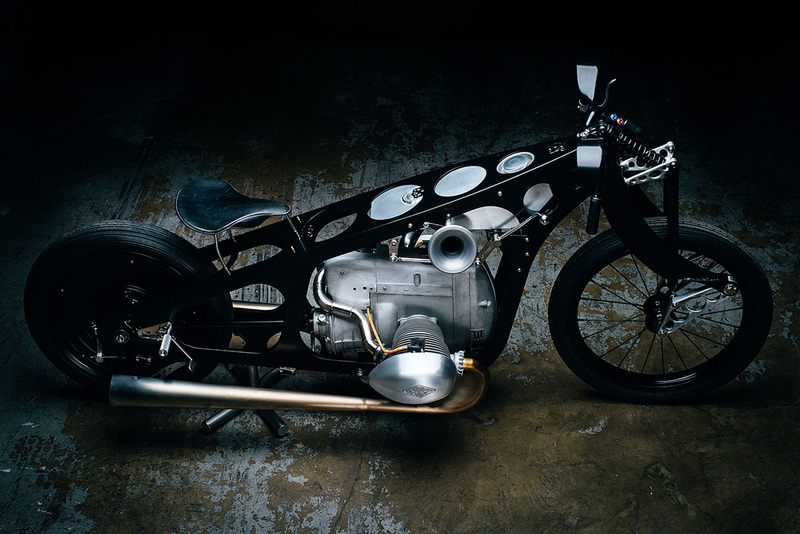 The BMW R37 Racer was originally made in 1928 specifically for Henne, and he would go on to break multiple records on the bike during his career. 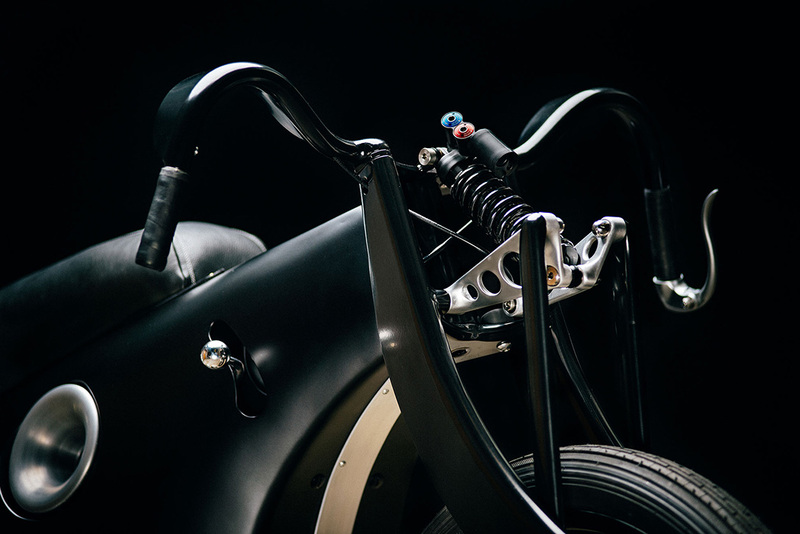 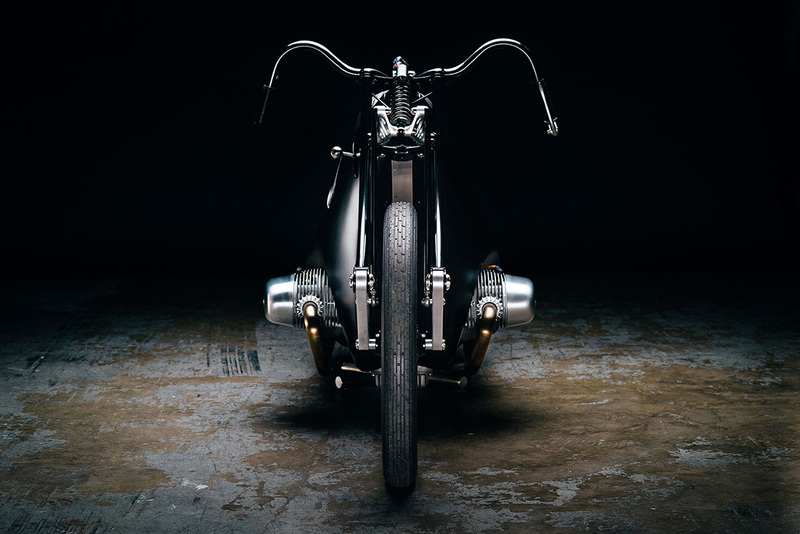 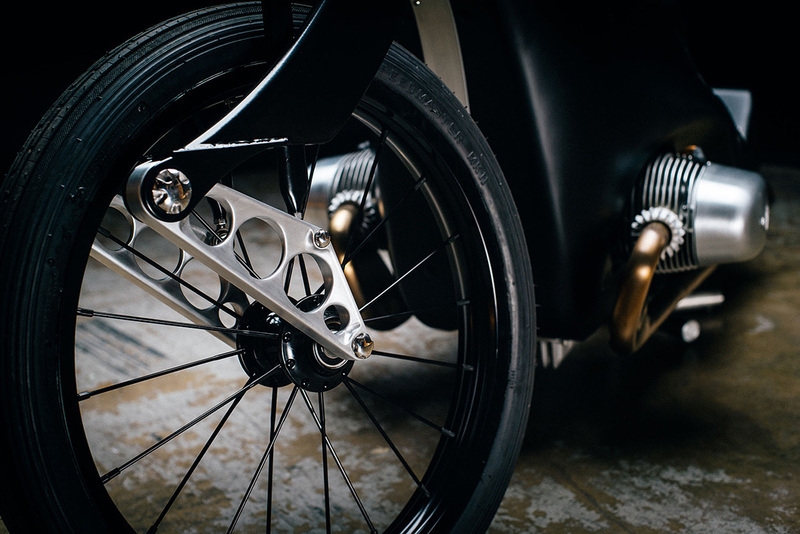 This particular bike is built just for the showroom – but the team at Revival stuck to their founding principals and made a bike that is as functional as it is strikingly aesthetic. 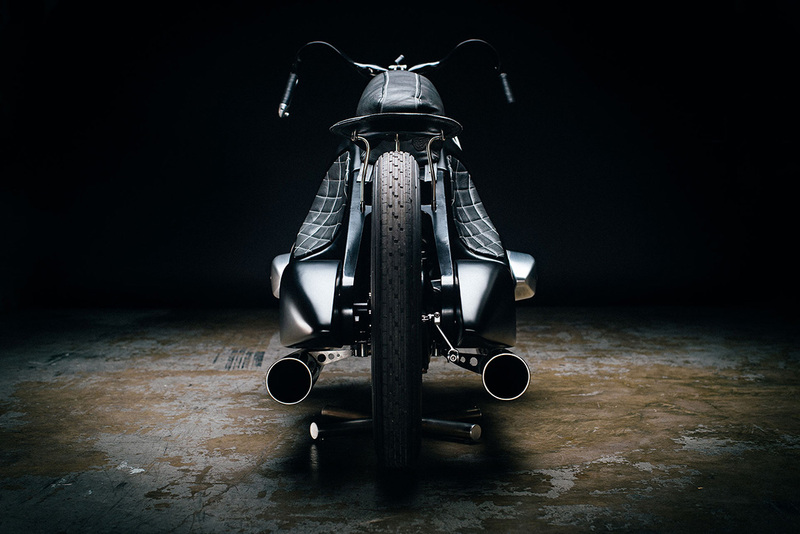 Using the R37 as a blueprint – the team lengthened the wheel base, dropped the engine lower in the stamped steel box frame, and gave the bike a magneto ignition system. 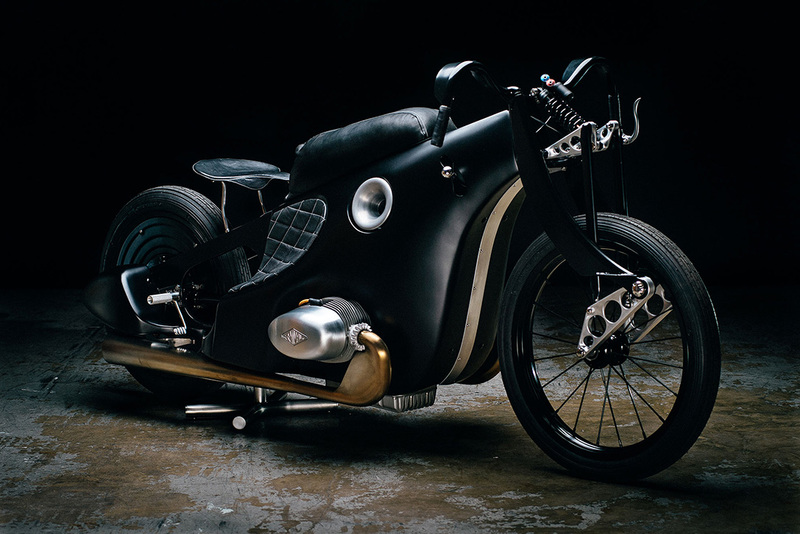 This bike isn’t street legal – but is sure is gorgeous.